Are you looking for the best free cloud hosting service providers? So, this is the time to continue to read our post right now. The cost of building and maintaining a fast-growing website can be a headache for business owners, especially small businesses or new businesses. Therefore, companies always try to minimize other costs including hosting. In this article, I/We will introduce the best free web hosting providers to help businesses easily and quickly save. Therefore, they have a lot of experience in this service array. You do not have to worry about the website disappearing overnight. Rich hosting packages will be a great help for small and medium enterprises. Besides unlimited free hosting packages and 5 email accounts, 000webhost also offers SEO analysis tools, traffic statistics website, and guides to help you promote your marketing strategies. With a new VPS infrastructure, 000webhost recently became the first and only unit providing free hosting services with SSL certificates to ensure the safety of your database. Web Design or Web Build: Hundreds of templates and many useful applications. 000webhost offers several high end hosting packages at very cheap rates for $3.50 per month only. This is one of the oldest andbestfreewebhosting service providers in the world. Launched in 2004, x10Hosting offers stable, high-performance features and services for $ 0.99 on the latest versions of PHP, MySQL, and cPanel. A pioneer in the free web hosting industry with over 10 years of experience, AwardSpace.com has owned a huge customer base. With high-speed factor and supporting system, the parameters for free packages are limited. However, this is a good choice for personal blogs with 5GB of bandwidth each month. If anyone has learned about hosting, then you have heard of ByetHost. Since the bad scandal of the affair allowed for registration Reseller Hosting free, causing people to rage registration and spread the shared host view, ByetHost reputation has fallen dramatically. At present, everything has been modified to compete with other vendors. Absolutely, Byethost is still one of the best free cloud hosting services providers. With intuitive and easy to use management interface, Byethost is the right choice for novices to all websites and blogs as well. If you are looking to build a personal website/blog with moderate storage and 250 to 300 visitors a day, FreeHostia's free WordPress Hosting (Chocolate) package is a great choice. With only 250MB of bandwidth and 6GB of bandwidth per month and no cPanelX support, FreeHostia's free hosting has very good quality and fast response rates for users around the world. With the Vietnamese support interface, registration is fast and simple, hosting is activated right away, automatically installing some popular scripts on the host, including WordPress, as well as rarely downtime. Ease of payment method (Visa or Master and Paypal are not required). The speed is slow and unstable. You can lock up if you overhang. Should you choose free cloud hosting services? Free hosting will often be used by newcomers who do not have much experience or have no budget for renting a private host. Because free hosting should be free, there are many limitations. Most of them do not support adding separate domains. The resources and the speed are slow and the security is extremely poor. Many vendors make you have to place ads on the website, configure the software outdated, most likely to encounter errors when installing WordPress, etc. So, when you start a website, I/We suggest you choose the Shared Hosting Service. In general, people will not be called shared hosting but just short of a host. For operating systems, you choose Linux hosting or WordPress hosting if used for WordPress. Where do you want the server to be located? Do the customer support policies in a service provider give? Do they have live chat system or email or phone only? Your financial ability as well as your payment plan? For example, if you want to apply for a 2-year plan, do you prefer to pay full or one-off payments? Also, pay attention to finances when you renew the next time. I/We see many of you stop hosting because the cost of extension is too high. Consider contract terms as well as renewal procedures? Remember, the price of hosting for the first time will be discounted from the provider. The renewal fee will be higher than the price you purchased for the first time. Do you consider scalability or bandwidth? For example, you start with the Shared hosting plan, and then plan to expand the bandwidth and host capacity. Check the hosting provider is original or just the re-seller service agent? Are security measures and data backup protocols good or not? How long has hosting provider been involved in hosting business? In general, most of the best hosting providers now have a high reputation and have been involved in hosting for a long time. When you want to cancel your contract, what does the provider require from you? Do you have a free trial version? Normally, any vendor will offer a trial package of at least 30 days. How long does the refund policy during the trial period? Most of the trials are not 100% free, but you will have to pay a fee. You will also receive a refund if you feel dissatisfied with the service. Is hosting installation difficult or easy for you to use? Where is the vendor support center located? Is it close to where you live? What is the policy of the provider if you need to change your hosting configuration? For example, would you like to upgrade the Shared hosting package to Dedicated or VPS possible? If anything happens to your website, is the warranty policy satisfactory? Can your database be fully recovered? Are there any complaints or comments from customers to this hosting service before? There are several free cloud hosting service providers for you to choose from. However, if you are serious about creating a website, you should register for a paid hosting service like A2Hosting or HawkHost. With paid hosting services, you will have a high-performance server that will ensure your website runs smoothly when traffic is high. In addition, you will receive support whenever you have problems with hosting. 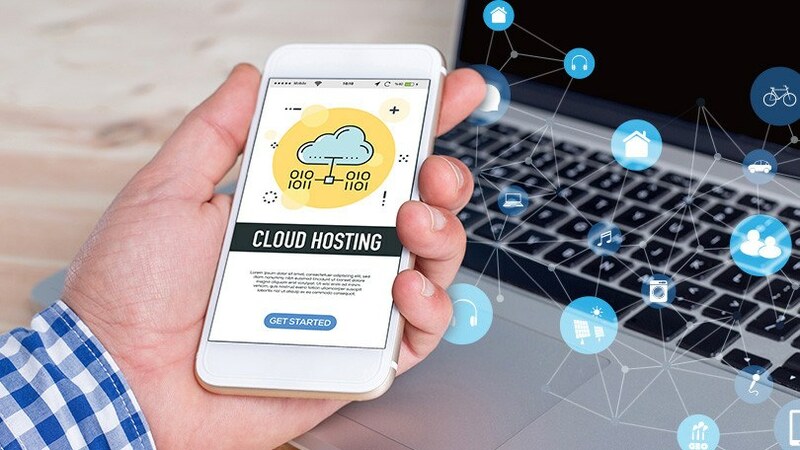 No Comment to " Top 5 Best Free Cloud Hosting Services Providers in 2019 "